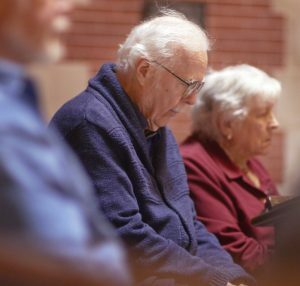 In the wake of the latest massacre, Episcopal churches around the country encouraged people to participate in a national time of prayer Tuesday. 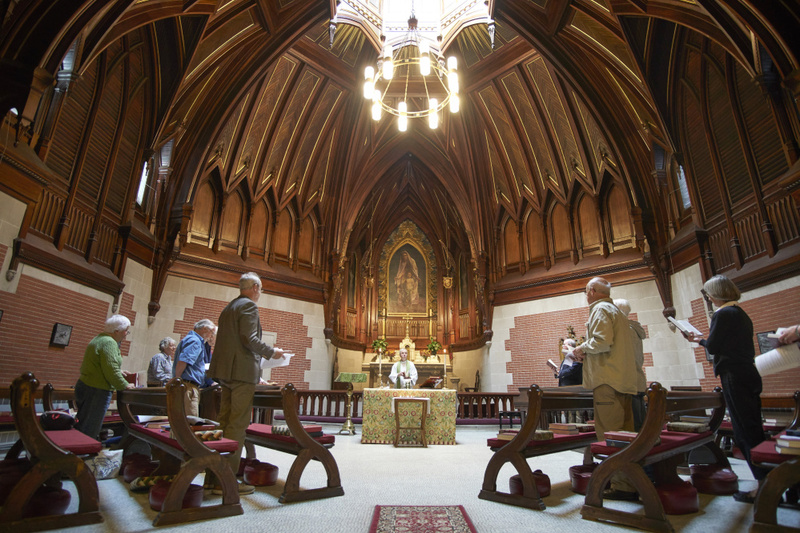 The bell inside the Cathedral Church of St. Luke on State Street rang out at noon Tuesday. A dozen people – most in their 60s or 70s or older – bowed their heads and clasped their hands in silence. Outside, walkers who breezed past noted the sound and looked up toward the church but didn’t stop. The bell continued to ring for an uncomfortable length of time, each toll of the bell representing a victim of Sunday’s mass shooting in Las Vegas – the deadliest in modern U.S. history. 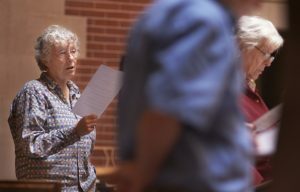 The Portland Episcopal church joined hundreds of others across the country in tolling its bells before Tuesday’s service – a small gesture against the gun violence that has ravaged the United States. Lane is among an informal Episcopal advocacy group, Bishops United Against Gun Violence, that formed after the tragedy at Sandy Hook Elementary School in Connecticut nearly five years ago. When the bells finally went silent, the Rev. Ben Shambaugh addressed those in attendance. He asked them to remember those who died in Las Vegas and the many more who die from gun violence every day in the U.S. He then read a prayer attributed to St. Francis. Lane then addressed the audience. But he cautioned against despair. “Let us bend the knee and say a prayer, but then stand up and, in God’s name, try to make a difference,” he said. After the service, Hank and Nancy Beebe of Portland said they didn’t come to Tuesday’s service specifically to reflect about gun violence. They come every Tuesday. The couple, both in their 90s, are the heads of a four-generation family that lives together. Hank Beebe said he doesn’t think about how the world will be for him or his wife, since their days are waning, but for their four grandchildren, who are all 7 or younger. Beebe said he has less faith in policymakers. He said he doesn’t understand how the gun lobby has grown powerful enough to essentially quash any rational debate about gun control. Nancy Beebe, who, like her husband, has lived through World War II and the civil rights movement and Vietnam, said she hopes the country will come through times of trouble as it has many times before.